I'm kicking off something that I'm super excited about, and it something we as bloggers can ALL participate in. 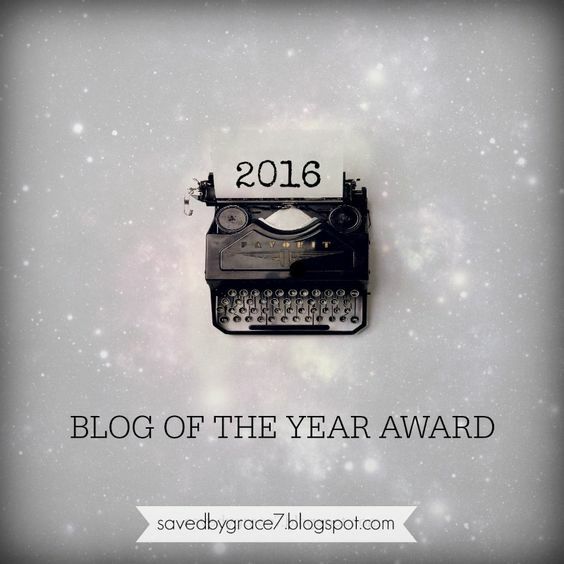 It's called Blog Of The Year Award, and I need you or my idea isn't going to go anywhere. Info: We all know at least one blogger that deserves recognition. It may be a popular blogger with two hundred followers or someone with only twelve, but either way they've been amazing this year in their corner of the world, perhaps through their book reviews, devo posts, vlogs, photography, etc. And they deserve a thank you for their time. We all like to be thanked, right? Think about it: No matter how many followers you have, it's nice to know that you make a difference or that what you do matters to someone other then yourself. I want my Blog of the Year Award to do just that. I want you to nominate one blogger on your blog that you follow and think deserves the award (I'll have info on that in a moment). Then let them know you nominated them. I need at least two bloggers nominated to make this a thing or otherwise nothing else will proceed. The nominating closes December 25th and the poll will go up December 26th. You will have until January 3rd to vote who you think deserves the award. In the meantime I'm going to give you a chance to get to know the blogs nominated because I'm going to have the links here on the blog as you nominate (I'm not expecting a huge turn out so you'll get a chance to see all the blogs I'm sure haha). After the voting closes I will announce the winner, let them know that they were nominated (this isn't going to be a big affair so I want to make sure they remember what happened) and I'll feature them on here if they so desire. This isn't a big thing, no one is going to achieve lots of publicity, but I do know that by nominating bloggers, you may just make their day. This is something I'm doing so we can focus on others and not ourselves the rest of this year. Now, for the one you nominate please copy and paste the following questions and rules on your blog post as well as the picture so others will know what's going on. Feel free to ask me questions in the comments below if I didn't explain something, and have an amazing rest of your week readers! 2. Just for fun: How did you find the blog? 4. What is one of your favorite posts? I've begun considering as well and there's SO many amazing bloggers out there!